A good few comics out this week including Mark Millars Huck #4 which has been a great mini series so far and probably my favourite Millar World comic since Superior. Gambit plays his cards right and vaults into his own kinetically charged solo adventures! He’s a lover and a thief, but what else does ragin’ Cajun Remy LeBeau get up to when he isn’t hangin’ wit’ de X-Men? Would you believe raiding lost temples of Doom? Clashing with the deadly X-Cutioner? Or teaming up with Sabretooth? Still, there’s always time for the ladies — like old friend Storm and his favorite cherie, Rogue. But who is Gambit’s gaseous green guardian? Look into the past with teen Gambit, and go even farther back to watch Remy’s dad in action with Sgt. Fury’s Howling Commandos! Plus: Rarely seen adventures, including a splashdown with Hydro-Man! Anyt’ing is possible wit’ Gambit, mon ami! 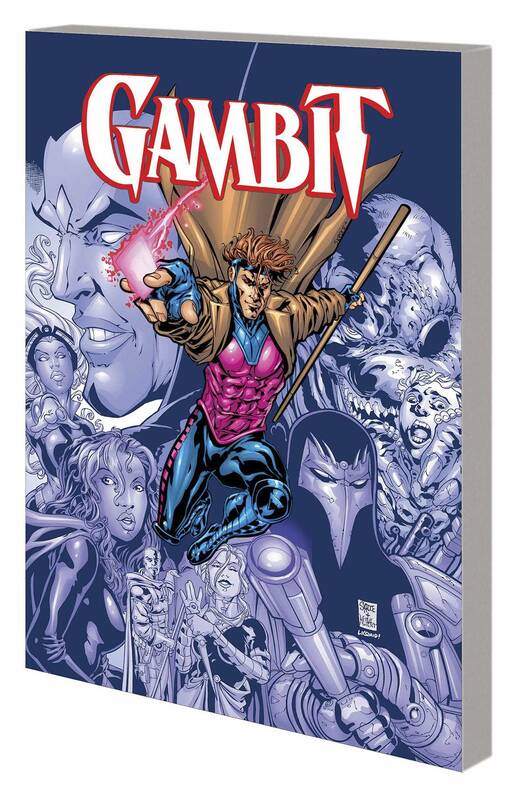 Collecting GAMBIT (1999) #1/2, #1-11 and ANNUAL ’99; MARVEL AUTHENTIX: GAMBIT; and material from X-MEN UNLIMITED (1993) #18.